Arkansas students in grades 5-8 and 9-12 are invited to submit their business plans to the annual Y.E.S. for Arkansas 2.0 competitions. Intents to enter open Aug. 17, 2015; business plans are due Nov. 17. Click here for details. 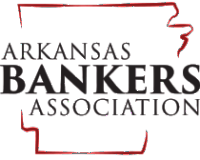 The competitions are sponsored by the Arkansas Economic Acceleration Foundation, an affiliate of The Arkansas Capital Corporation Group and one of Economics Arkansas's supporters. Thank you.